Excursiones Aéreas,Marítimas y Terrestres República Dominicana-Air,Marine,Terrestrial Excursions Dominican Republic-Ausflüge an Land auf dem Meer und in der Luft Dominikanische Republik-Szabadidös programok,fakúltatív kirándulások Dominikai Köztársaság - Shopping in S.D. Santo Domingo is a city for shoppers, with several large shopping centers offering a wide selection of almost everything. The Mercado Modelo at Avenida Mella, a farmer's market turned into giant gift shop, offers the largest selection of handicrafts. Several gift shops are located on Arzobispo Merino and Isabel la Catolica in the Colonial City. 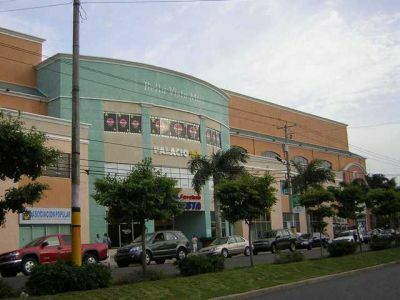 Shopping venues are located in the 27 de Febrero to Gustavo Mejia Ricart environs, including Plaza Central, Plaza Lama, Plaza Naco, Americana Departamentos, Hache, Acropolis, Plaza Bolera, Cuesta, Bella Vista, Diamond large stores. There is a sprinkling of small shops located all along Winston Churchill and Abraham Lincoln avenues. Or visit the Conde Street pedestrian mall and the lively Duarte Avenue, or the Luperon Avenue shopping district, among others.